Nothing is more important in your life than being one of God’s tools to form a human soul. But in the midst of folding laundry, coordinating carpool schedules, and breaking up fights, many parents get lost. Feeling pressure to do everything "right" and raise up "good" children, it's easy to lose sight of our ultimate purpose as parents in the quest for practical tips and guaranteed formulas. This live, streaming event is not solely for parents - grandparents, youth ministry leaders, college & singles who hope to be a parent one day, and anyone who knows and loves a parent should attend to be encouraged and equipped with this life-changing gospel message! 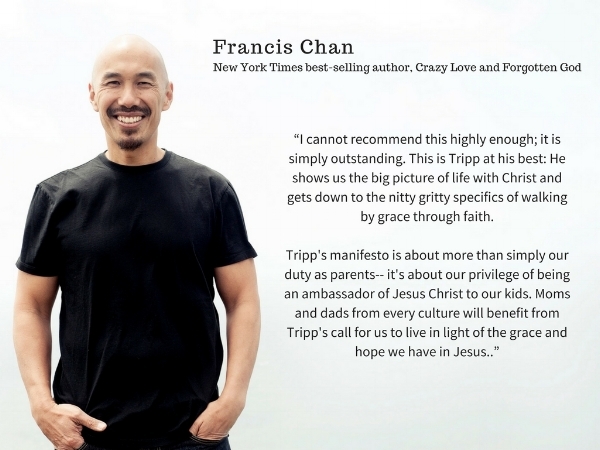 Based on his award-winning and best-selling Parenting book, Paul Tripp will be speaking live to moms and dads around the world. In this encouraging and refreshing event, Paul Tripp will offer much more than a to-do list. Instead, he will present us with a big-picture view of God's plan for us as parents. This is an event you do not want to miss. Space is limited so register today to begin gaining a better understanding of God's call on your life as a gospel-centered parent. Dr. Paul David Tripp is a pastor, international event speaker, and an award-winning and best-selling author. With more than 30 books and video series on Christian living, Paul’s driving passion is to connect the transforming power of Jesus Christ to everyday life. Paul and his wife Luella live in Philadelphia; they have four grown children.